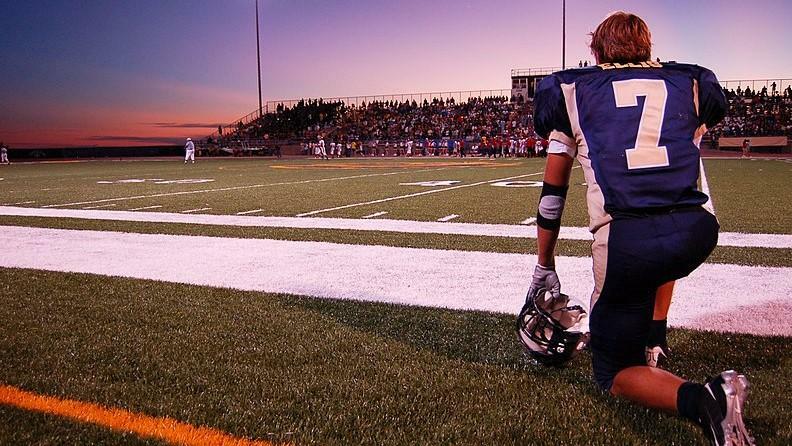 A federal appeals court has heard arguments in a public prayer case involving the 2015 state high school football championship between University Christian in Jacksonville and Cambridge Christian in Tampa. 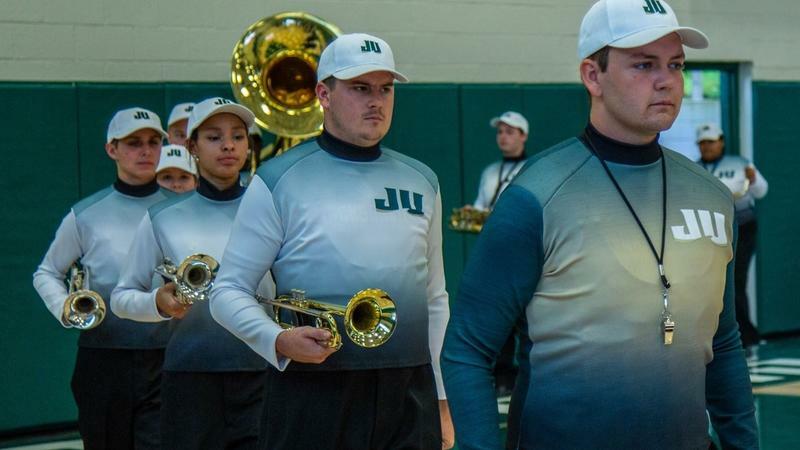 Jacksonville University's athletic department is rolling out new branding while celebrating its past. 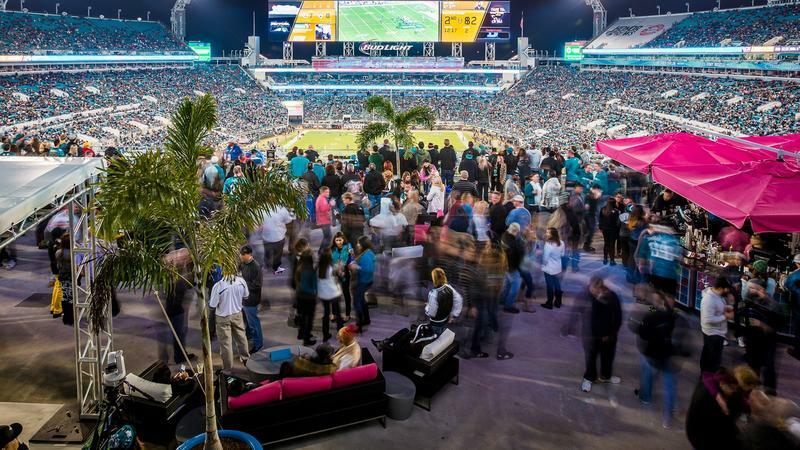 You won’t need a TV this year to watch Jacksonville Jaguars preseason games. 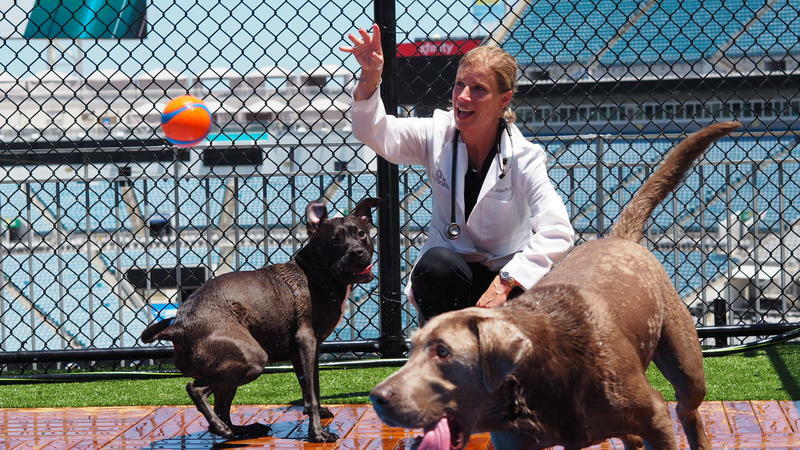 The Jacksonville Jaguars unveiled the NFL’s first in-stadium dog park on Monday, which officials say will help raise tens of thousands of dollars for the Jacksonville Humane Society. Photo provided by Bonnie Arnold via The Daily Record. 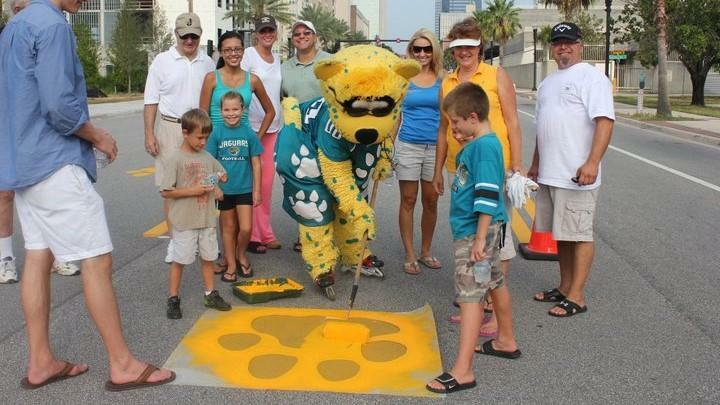 A record number of Jaguars football fans have registered for the annual Painting of the Paw Prints from the Main Street Bridge to TIAA Bank Field. Starting this season, all tickets to Jaguars home games will be delivered via mobile devices. 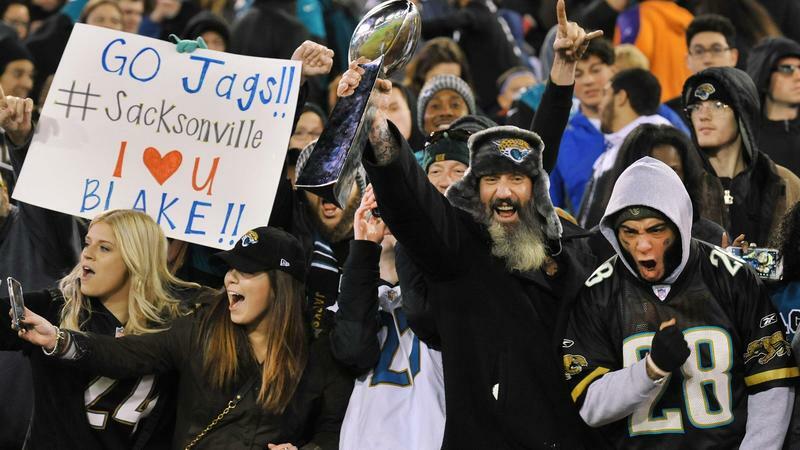 The Jaguars have one of the worst fan bases in the NFL, according to a study released Sunday by a marketing professor from Emory University. 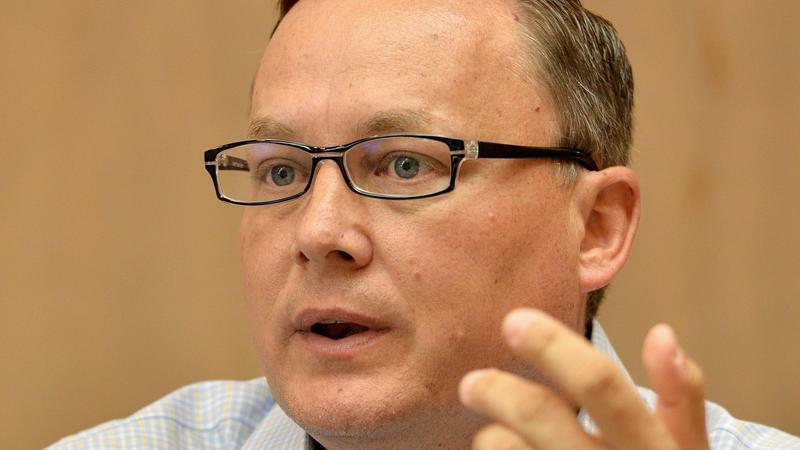 Alan Verlander was being groomed as the heir apparent to Jacksonville Sports Council president and CEO Rick Catlett. 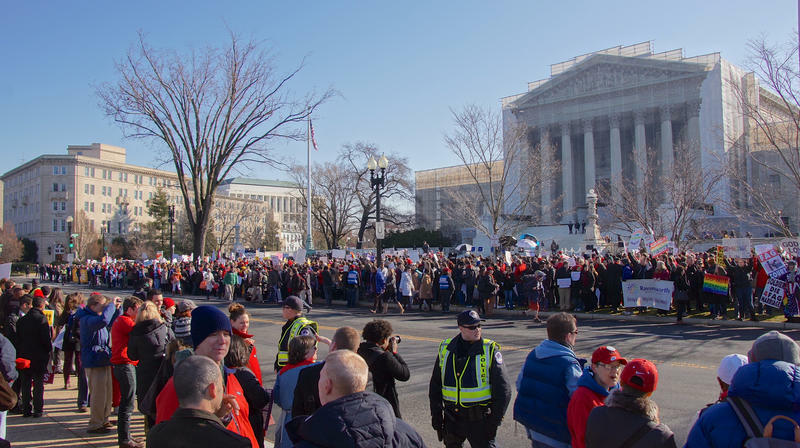 A U.S. Supreme Court decision viewed as a major win for the gambling industry opened the door to sports betting in states across the country, but Florida almost certainly won’t be one of them --- at least for now. 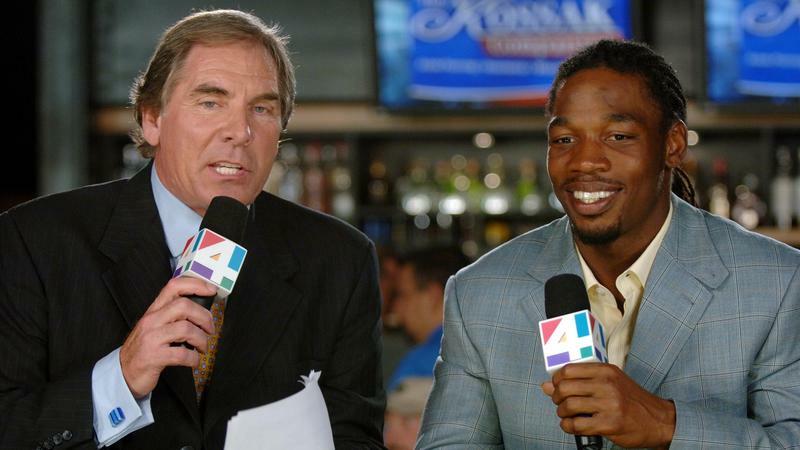 Sam Kouvaris and WJXT-Channel 4/News4Jax officially parted ways Wednesday after a 37-year run, unable to reach an agreement on the sports director’s future role since his contract expired on March 31. 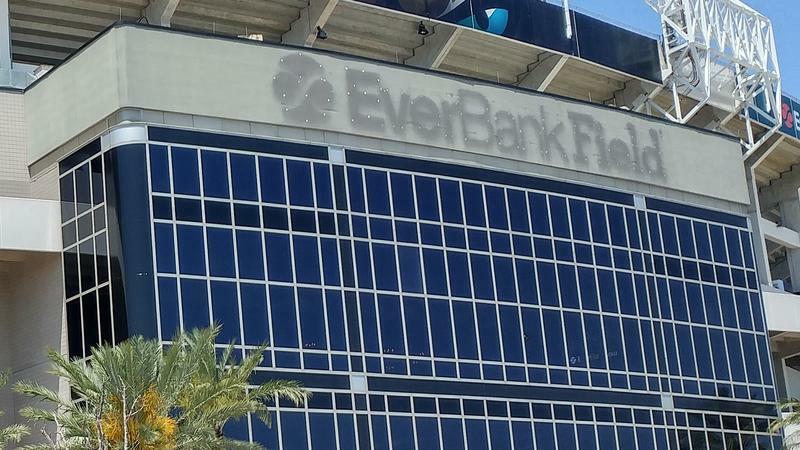 The EverBank Field signs are coming down at the Jacksonville Jaguars’ downtown stadium. 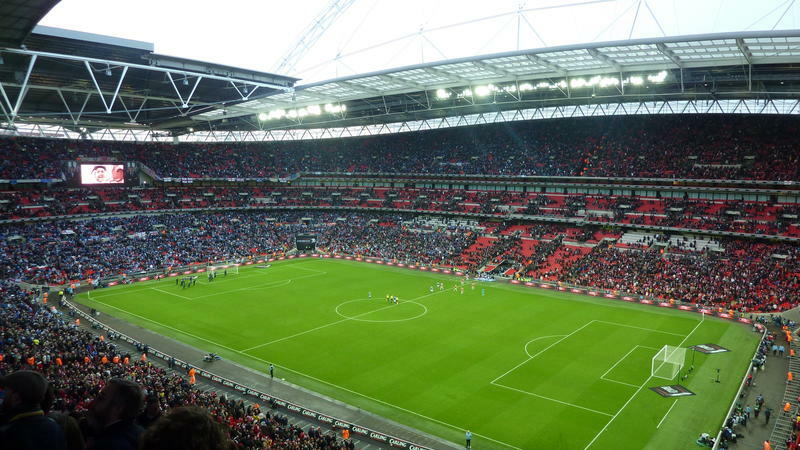 Shad Khan may soon own the Jaguars' London home away from home. The Jaguars are dedicating part of the North Deck at EverBank Field to Jacksonville’s military heritage as part of the stadium's overall rebranding to TIAA Bank Field. 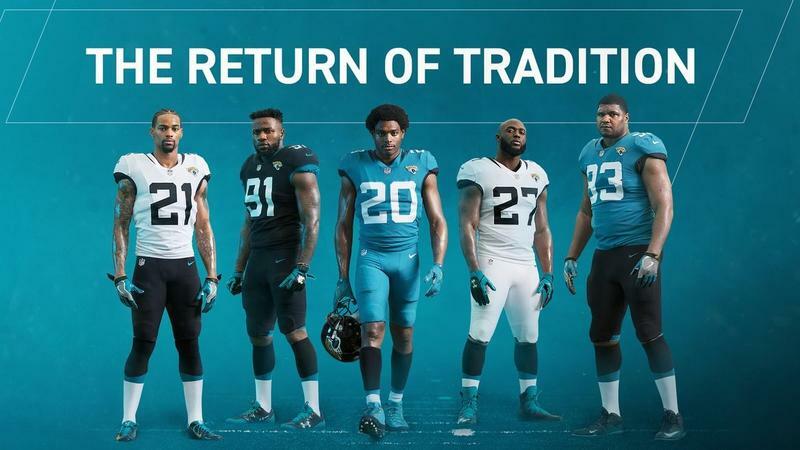 The old two-tone Jaguars helmets are out. Teal pants are in. 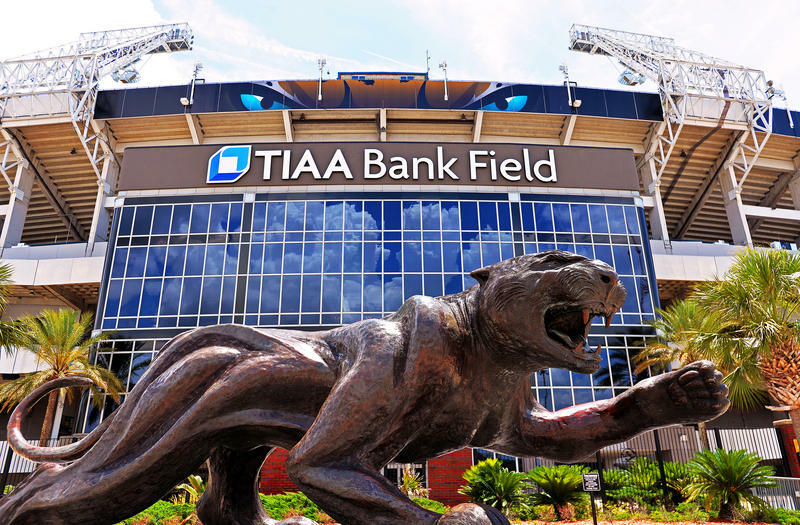 Jaguars President Mark Lamping announced Baltimore-based Cordish Companies has been tapped to develop the downtown area around EverBank Field, which will soon become TIAA Bank Field.